Hurricane Irma passed through my area a few days ago. 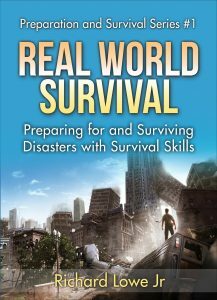 I followed the advice in my own book Real World Survival, ensuring I had an up-to-date bug-out bag, enough food and water to last at least two weeks,and a full tank of gas. I was prepared for the hurricane. There was plenty of notice, and I made several trips to the grocery store to ensure I had more than enough bottled water, canned food, and batteries for the long haul. The forecasts and predictions indicated we’d get hit by a category 3 storm, which would have been enough to knock out the area for a week or two. Once the hurricane was over, I thought over the preparations to see what I had learned. 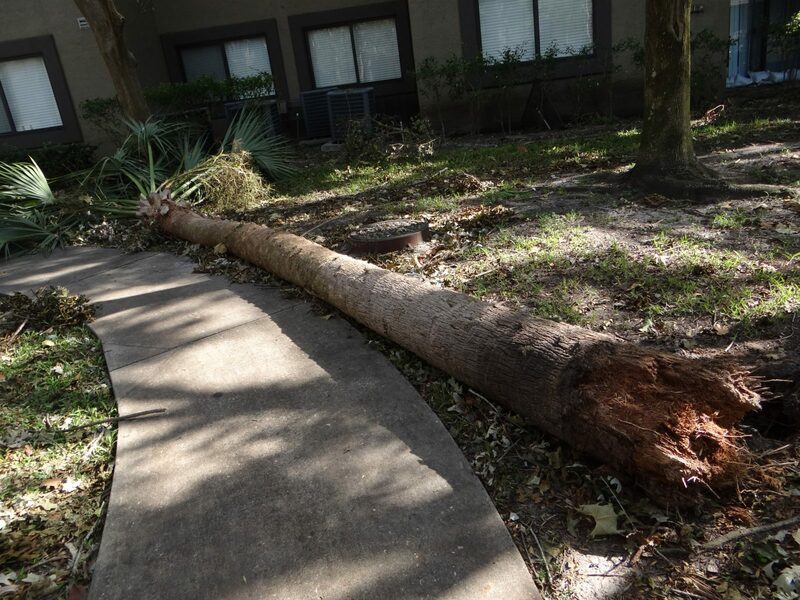 The power will go out for a long time – I didn’t realize that a hurricane would take down the entire Florida power grid. We were fortunate in my area that it was only out for 2 days. In some harder-hit locations, the power might be out for weeks. In Florida this is significant, as the temperatures can exceed 100 degrees and the humidity 90%. A UPS doesn’t last long – I figured the UPS to support my computer would be a great way to power a radio and recharge my cell phone. As it turned out, my UPS’s discharged within an hour or two, because they are intended to deliver full wall power, regardless of the device. Thus, I was without cell service and radio for longer than I expected. Expect to lose the contents of the refrigerator and freezer – I lost everything in the refrigerator and freezer, except for the cheese and lunch meat that i transferred to the freezer before the power went out. The refrigerator contents were warm and spoiled; the frozen food was questionable, but the chilled food held up well under the frozen food. Since it didn’t need to be frozen, only chilled, this food made it just fine. Don’t park under or nears trees – Someone mentioned to me just before the storm arrived that i should move my car so it wasn’t under a tree. I moved it and was lucky to find a space without a tree anywhere near. After the storm, one car was damaged by falling branches, but if the storm had been as predicted, many more cars would have been destroyed. Store shelves will be empty – The local supermarkets were more-or-less out-of-stock of anything useful (canned foods, bread, crackers, water) a couple of days before the storm. They remained that way for days after. If the storm had been worse, they would have remained empty for a week or more. After the storm is boring – Without the internet, which I use for work and video, I found the boredom was almost unbearable. My neighbors had a far worse time trying to deal with having nothing at all to do combined with 90 degree, 90% humidity. I read a lot of books on my Kindle, and later in paperback when the battery ran out. The neighbors come together – All of the neighbors came outside after dark and we all talked and cooked on grills. Cooking all the food in the refrigerators made sense, considering the food was going to spoil anyway. It’s amazing that neighbors that have lived next door to each other for years and never met, finally shook hands and talked after the disaster. Cell phone services stops – Cell phones are on the same electrical grid as everything else. If the power goes out in the area, so do the cell phones. Generators are brought in to power the cell towers, but the strength is very low. Because of this, you cannot depend on having useful cell service after a disaster. No one knows what a 4-way stop is anymore – The traffic lights were all out due to no power. It was amazing to see cars blow through intersections with no lights at 60 MPH without looking. After a few hours, the police came out in force at all of the major intersections just to control traffic. The local electric company did a great job – Duke Energy, my local electric company, had the power back on in less than 48 hours. After the storm, over 80% of my county was without power. Rick Scott the Governor of Florida, did an outstanding job of handing the crisis caused by Hurricane Irma. What I look for in an elected official is leadership. The governor has earned my respect for his leadership during this crisis. Thank you, Sir! Did you learn anything from any disaster you’ve been involve in? Talk about it in the comments below.